I think there’s nothing quite like having a day to pamper yourself and have your nails done for you, even if you have the option to do them on your own. 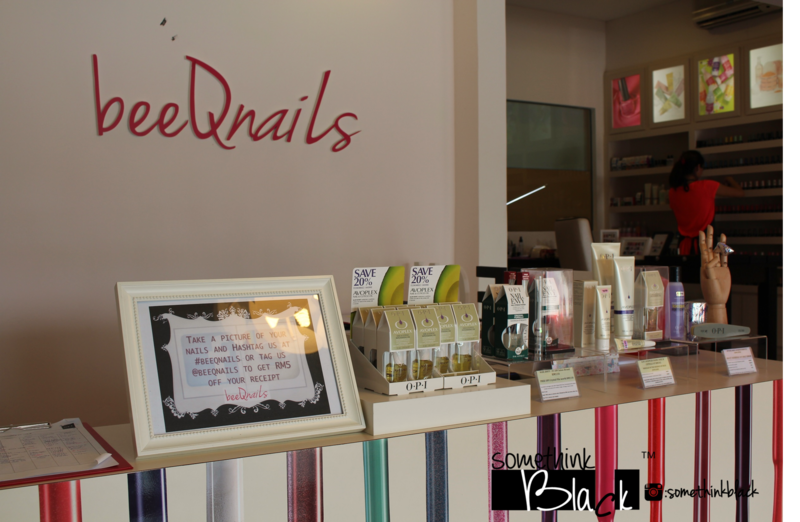 🙂 After my exams, a girlfriend and I went to BeeQNails to relax and be pampered. Going in, the first thing I saw was their counter, filled with OPI products for sale. 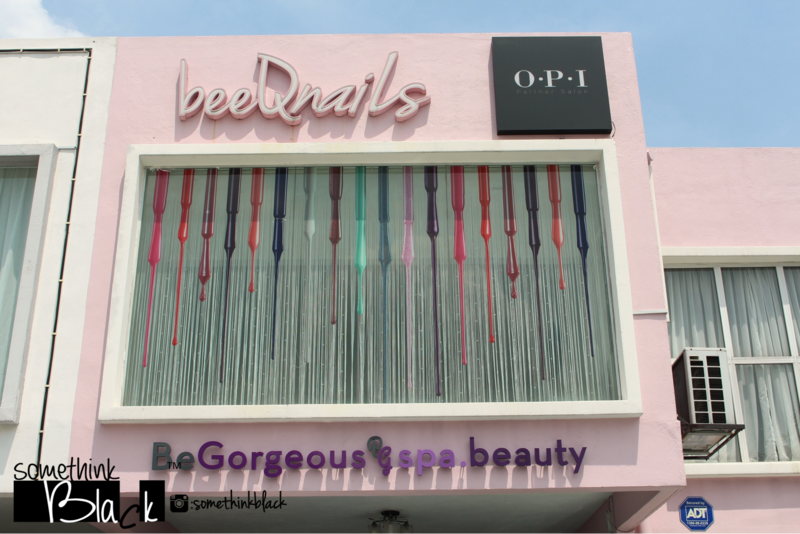 BeeQNails is an OPI partner, which means that all their products either for sale or used on client are from OPI, so you’re paying for good quality stuff. 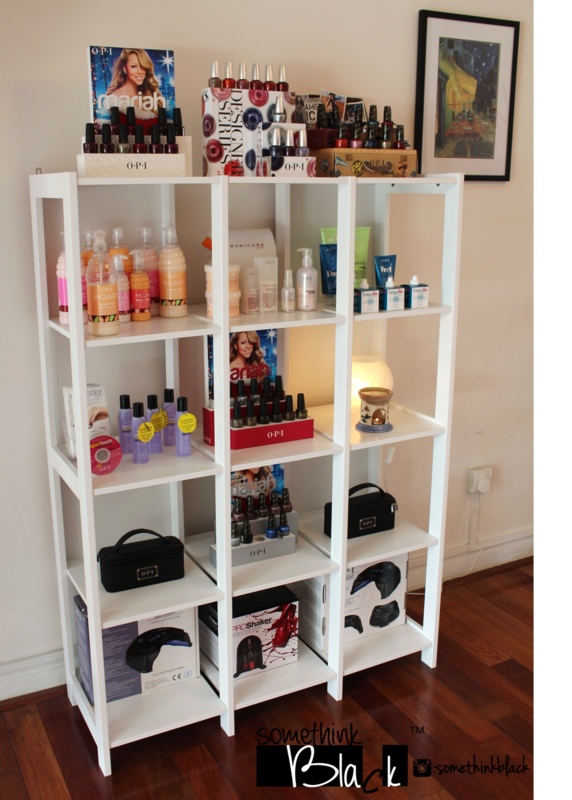 🙂 Not only that but they also have quite an extensive array of OPI products like polishes and treatments for sale too. 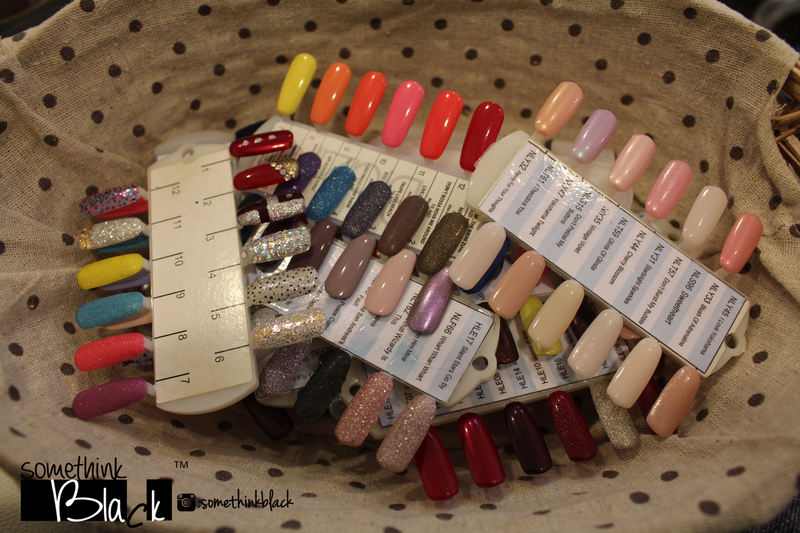 BeeQNails has so many choices for your nails! What surprised me was not the fact that they only had a big selection of regular polishes, but they have a HUGE variety of gel polishes too! I don’t think I’ve ever seen such an extensive collection before. 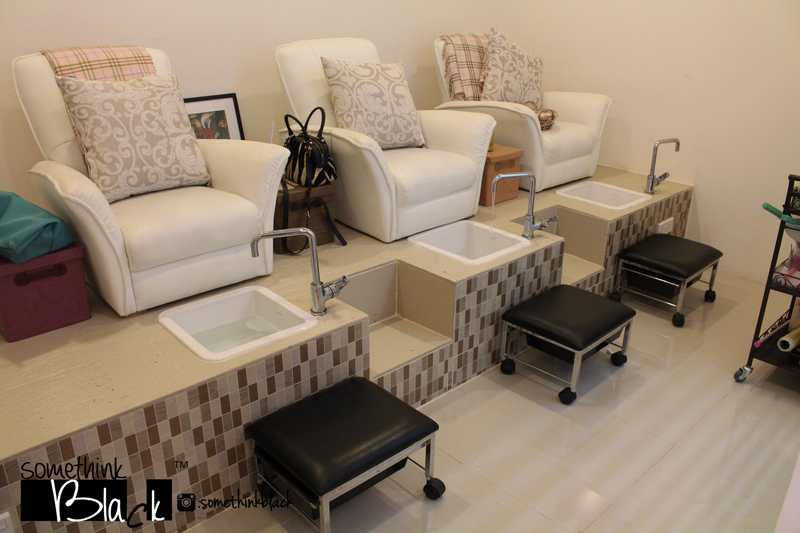 First, we were given a rejuvenating treatment for our feet. This included a scrub, a mask and also a massage. 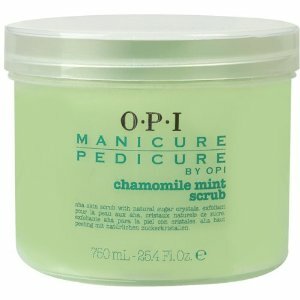 The products used were from OPI’s Chamomile and Mint selection. First Sharon (my manicurist for the day) used the scrub on my feet, the they put on this green mask that made my feet look like they were from The Hulk. However the products did smell really good, and they wrapped my feet to to ensure that the mask works at its best. After the mask, I was treated to a lovely massage by Sharon as well. She also cleaned up my cuticles and filed off the dry skin on my heel. After all the spa treatments were done, I was asked to pick the colour I’d like to have on my toes. BeeQNails had so many choices, and it took me quite a while to pick out the one I wanted. They had an entire basket with swatches for you to choose from. Eventually I settled on OPI’s Extravagance from their DS collection. 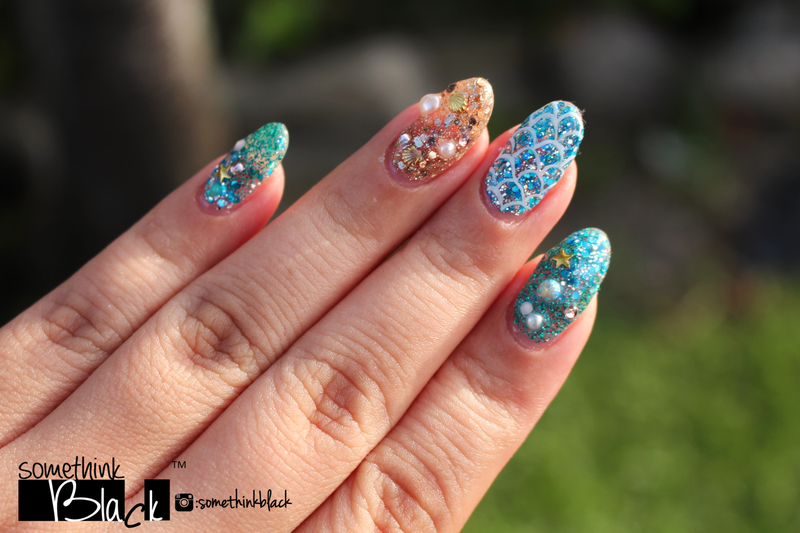 The holo in this is just gorgeous! After my pedi was done, I was escorted to the mani station. 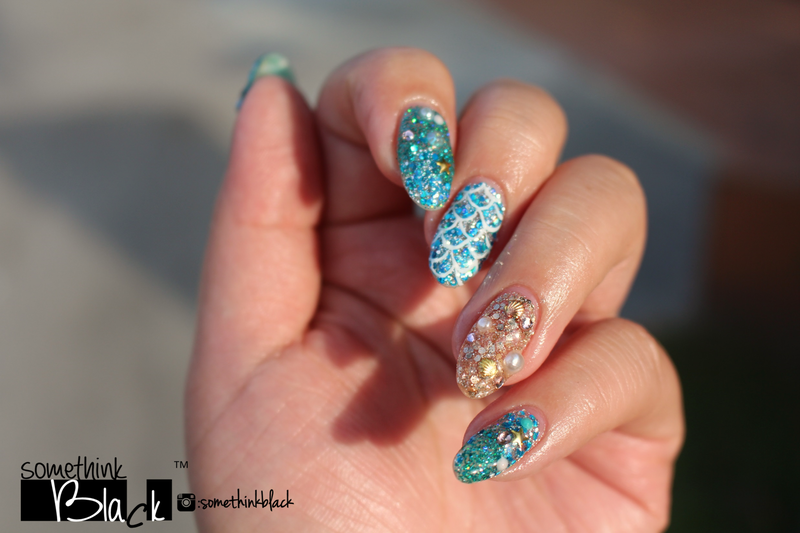 There, Sharon asked me the kind of design I wanted for my nails, and I told her I’d like something that’s mermaid inspired. She helped me pick out the colours for my look, and explained that gel polishes need to be hardened by the UV lamp. This method was quick and easy as there were many layers to be done, and would also last longer and better than regular polishes. This was how it all turned out! After my manicure was done, Sharon did a spa treatment on my hands that she said would help with anti aging and hydration. It included a scrub, serum application as well as a massage with the butter. 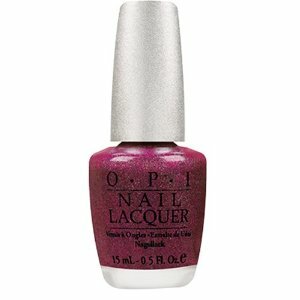 All products were from OPI’s Manicure range. After that my hands felt so soft and smooth. It was very apparent that the products worked their magic! I think overall, BeeQNails gave a really good experience in terms of service as well as hospitality. 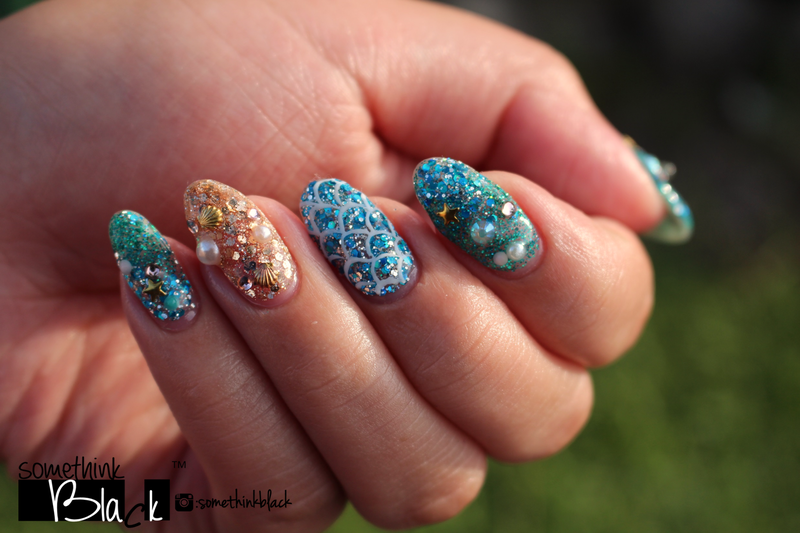 These ladies really know their stuff, and they’re sweet, patient and very creative in terms of designing nail art. I would definitely recommend this to friends and family who are interested in pampering themselves and getting their nails done. 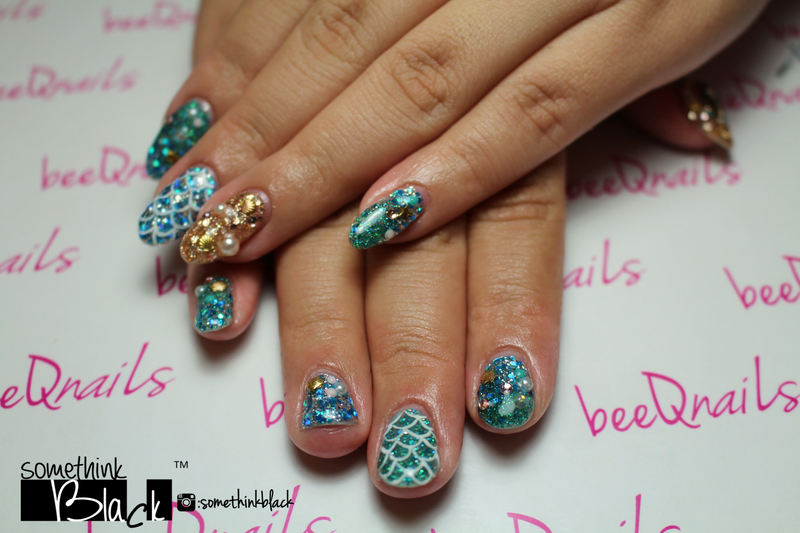 For more information about BeeQNails, visit their Facebook page, or contact them at 016-555 5935 or 03-7866 0935.